Whenever I visit Brighton I do a hell of a lot of eating. There are just so many good places to go and I kind of use that as an excuse to eat in as many of them as I can! What I love most about Brighton is the incredible amount of independent restaurants, cafes and bars there are; wherever you turn you can find one easily. This means I can avoid chain restaurants like the plague and spend some time eating great foods usually prepared by locals that love the town they live in. We all know how much I love to support local businesses and by eating in them is my favourite way by far! 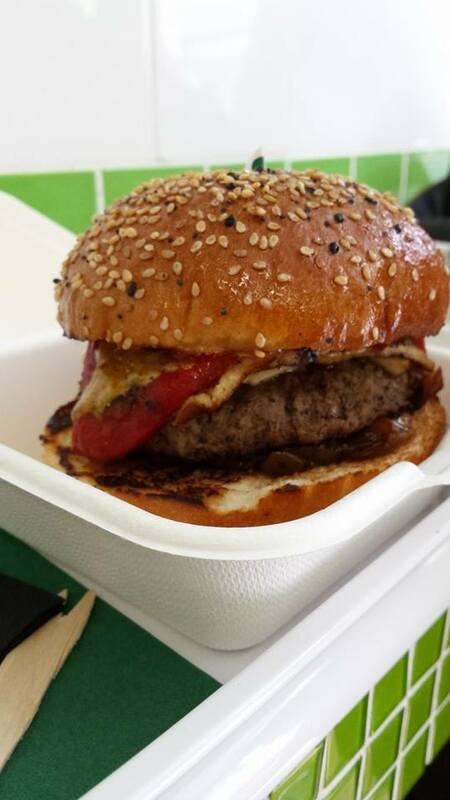 Burger Brothers is a year old and in that super short time they have made it to Brighton’s best place to eat on TripAdvisor, it doesn’t sound very off the beaten track but it wasn’t in an area of Brighton we’d usually wander to, we only knew about it because of previous searches. Established by two dynamic characters with an avid passion for quality food you can see why people are willing to queue and wait for their burgers. I mean, we got there at 12.15 when it opens at 12 and had to wait 40 minutes! A large group beat us to the doors but it was so worth the wait. 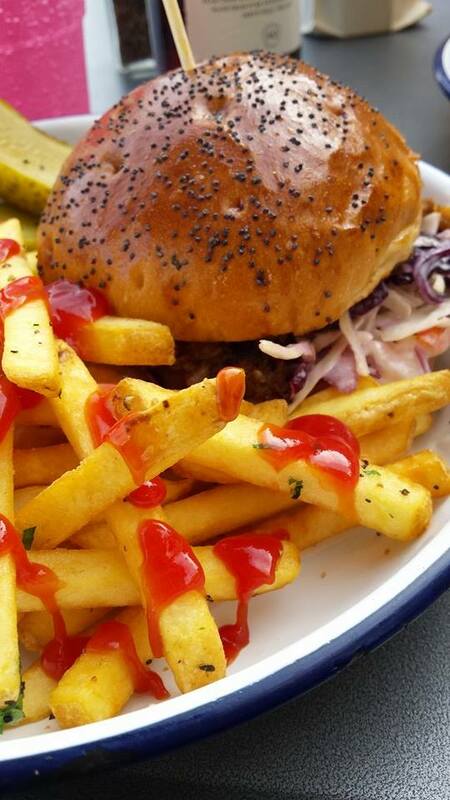 The burgers are made freshly every day on site and you can taste their goodness in every bite! I opted for the favourite burger and added halloumi, I’m having a serious phase of roasted red peppers and halloumi so this burger was the definition of perfect! Lucky Beach isn’t quite of the beaten track as it’s on Brighton Beach but we almost walked past dismissing it as a bar when they do really good food too! We had pulled pork and calamari and they were both amazing, so don’t walk past! We loved sitting outside, with a cheeky cider, watching the world go past. Part of my love for Brighton is down to being so close to the sea and listening to the waves crash upon that rocky beach so it was so nice to be able to do that whilst eating some proper tasty food! "London Marathon Training Update 1." "The House of Peroni Opening, London." Love Burger Brothers so much!